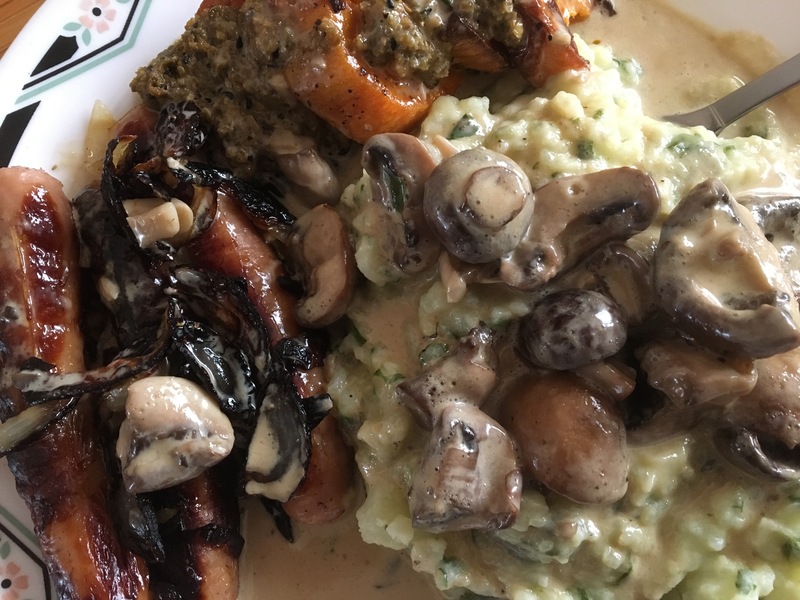 I made a really luxuriant and rich twist on bangers and mash which my girls and I really loved!!! It’s not for the really health conscious as it is loaded with creamy goodness, but we all need to indulge once in a while. So I pan fried my sausages with onions, made mash potatoes and scallions which was creamed with double cream. I also made a garlic mushroom Stroganoff and halogen ovened sweet potato slices topped with my homemade fiery chilli pickle.